We are proud to introduce the new Kia Niro in Fulton County, Georgia. As an all-new hybrid utility vehicle it is the most recent member of the new Kia Eco-Car platform. 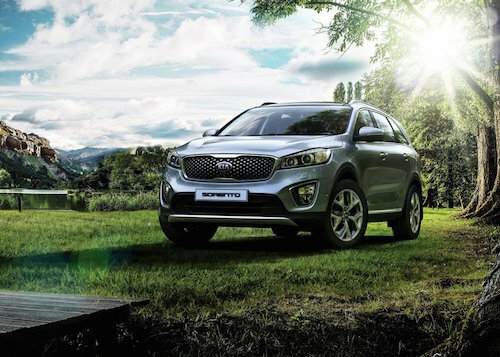 This new Kia SUV accommodates up to five adults in style and is as comfortable off-road as it is on city streets. Its unique hybrid powertrain offers outstanding mpg and refined driving dynamics with six-speed dual-clutch transmission, make this new Kia fun to drive. The new Kia Niro cabin is well appointed with available amenities like soft leather seating and a heated steering wheel. It offers ample space for driver and passengers alike as well as a spacious cargo area. Folding back seats and an available concealed storage compartment provide additional space for transporting larger items. The new Kia Niro is now available for sale or lease in Fulton County, Georgia. Factory incentives and dealer special offers may apply. Please contact us if you would like to learn more about this exciting new Kia or if you would like to schedule a time to test drive the new Kia Niro in Fulton County, GA.